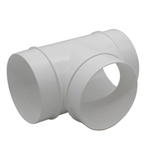 Total size is 271mm L x 171mm H Please see dimensional drawing. Free Area: 13,300mm² (133cm²) per unit. 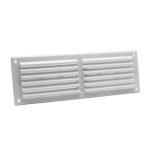 Low profile fixed open louvres allow a high air flow. 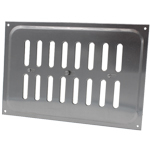 Plastic louvre grille with detachable flyscreen. 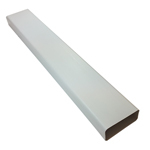 Size: 271mm L x 171mm H. Free Area: 13300mm² (133cm²) per unit. Flyscreen helps prevent the ingress of insects and spiders as well as reducing light and draughts. Embossed with DO NOT BLOCK. Compatible with Rytons 9×6 AirLiners®. 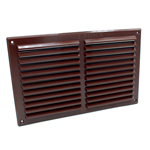 Louvre Ventilators with Flyscreens must not be used to supply combustion and cooling air to boilers, stoves and fires.